Starting to feel like spring is approaching. The shelves of the store are starting to fill with this years newest products. 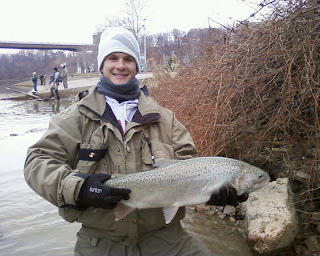 As we prepare for the up coming season steelhead are starting to load up in the local rivers. Look for good pushes with every high water or warm front we see the next few weeks. Fish will be the highest in numbers we have seen yet. Spawn ,jigs as well as many fly patterns are all working. Fish are spread threw out the system with a majority of fish still hanging in winter holes. Hope in the next few weeks you can all stop bye and see the newest colors and product for this years walleye season. is a link to help out Mike Durkalec. Do to my limited computer skills you may have to cut and paste link in your browser. Will continue to work on this. Please keep him in your thoughts and prayers. 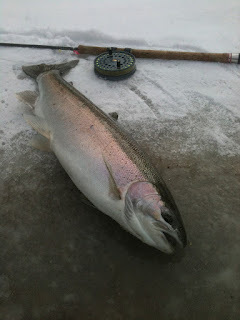 Rivers are starting to thaw and seems to be plenty of big fish around. Rivers will most likely rise the next few days to bring in even more fish. Spawn ,jigs as well as flys will all be working. 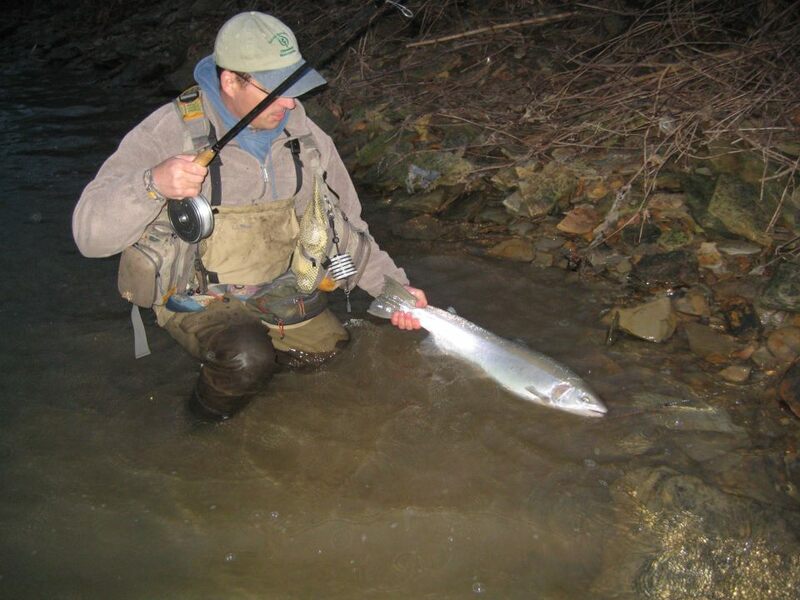 Reports are coming in from upper and lower rivers ,so fish are spread out. Look for numbers to increase and fishing to get even better as spring runs start to enter the system. Mother nature is at it again. Rivers are have started to freeze and will lock up the next few days. Look for discharges and power plants to be best. 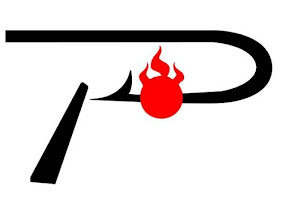 If you get any time check out a friends blog, http://manvfish.blogspot.com/ . Everyone keep warm and enjoy Super Bowl weekend.